The proposals, including leaving without a deal, revoking Britain’s departure from the European Union, or seeking a customs union, were put to MPs as alternatives to Theresa May’s withdrawal agreement which has suffered defeats in January and March. None of the proposals put forward earned a majority of parliamentary support. John Baron’s proposal for leaving the EU on April 12 without a deal lost by 160 votes to 400. Huw Merriman voted for it. 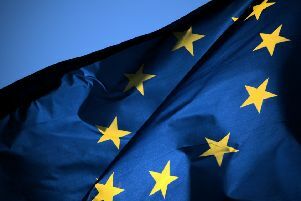 Nick Boles’ proposal for remaining in the European single market and seeking a temporary customs union with the EU was voted down by 188 to 283. Huw Merriman voted against it. George Eustice’s proposal for remaining in the European single market but not forming a customs union with the EU lost by 65 votes to 377. Huw Merriman voted against it. Ken Clarke’s proposal seeking a UK-wide customs union with the EU was voted down by 264 to 272. Huw Merriman voted against it. Jeremy Corbyn proposed negotiating changes to the withdrawal agreement to include protections to workers’ right, a permanent customs union and a close alignment to the single market. It was voted down by 237 to 307. Huw Merriman voted against it. Joanna Cherry’s proposal to cancel Brexit if the UK gets within days of leaving the EU without a deal lost by 184 votes to 293. Huw Merriman voted against it. Margaret Beckett’s proposal for another public vote to confirm any withdrawal agreement agreed by Parliament was voted down by 268 votes to 295. Huw Merriman voted for it. Marcus Fysh’s proposal seeking a tariff-free trade agreement with the EU for two years, during which time the UK will contribute to the EU budget lost by 139 votes to 422. Huw Merriman voted against it. Updating constituents after the votes, Mr Merriman said: “With my indicative votes, I opted for no deal and to get a deal through by asking people, instead of MPs, to deliver it.